Do you have a disability rating with the VA? 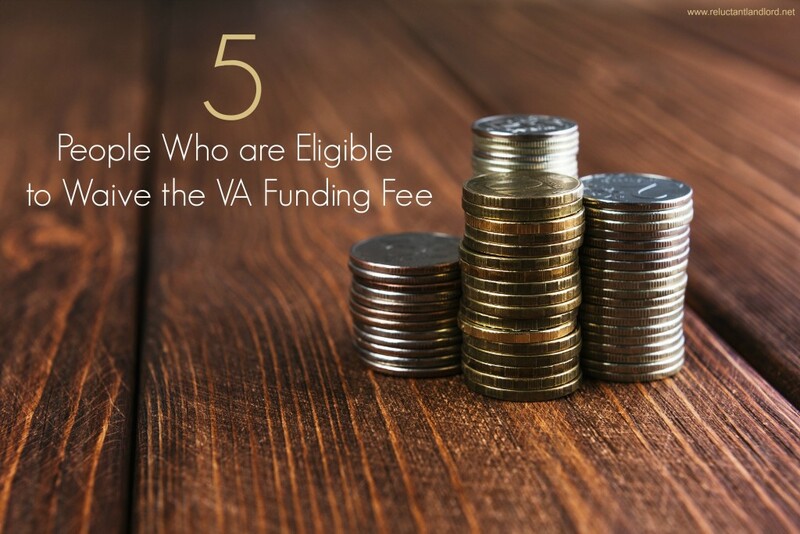 Did you know that with such a disability your VA funding fee can be waived? Check out my tips below, to find out more! These are all excerpts from the VA Lenders Hand book 26: Chapter 8 Section 17. The complete guidebook can be found here. As always its is important to discuss this with your broker as they will have all the details regarding your particular situation. If you are buying a house with a VA loan you know that one of the largest downsides is the funding fee. Since this can add up over time, finding a way to eliminate the fee is a great way to save money. So here’s the amazing news for MANY veterans: most are eligible for no funding fee! The VA Handbook gives a list of groups who are eligible for waived funding fee (excerpt from the handbook here). 1. Veterans receiving VA compensation for service-connected disabilities. 2. Veterans who would be entitled to receive compensation for service-connected disabilities if they did not receive retirement pay. 3. Veterans who are rated by the VA as eligible to receive compensation as a result of pre-discharge disability examination and rating or on the basis of a pre-discharge review of existing medical evidence (including service medical and treatment records) that results in issuance of a memorandum rating. 4. Veterans entitled to receive compensation, but who are not presently in receipt because they are on active duty. 5. Surviving spouses of veterans who died in service or from service-connected disabilities (whether or not such surviving spouses are veterans with their own entitlement and whether or not they are using their own entitlement on the loan). While being part of the above categories is usually not considered a good thing, it is a good thing in regards to saving money on the VA funding fee! So what’s the next step? Once you determine that you are part of this group, the key is to verify your exempt status. Have a properly completed and signed VA Form (26-8937) and a Verification of VA Benefits indicating the borrower’s exempt status. If you are a veteran who elected service retirement pay instead of VA compensation, you will need a copy of the original VA notification of disability rating and documentation of your service retirement income. You will need to indicate on the Certificate of Eligibility (COE), that the borrower is entitled as an unmarried surviving spouse. As always, check with your lending professional! Their knowledge may save you some serious cash. For those of you who have used the VA Funding fee, what are your stories? How much have you saved? Thank you for this! My husband was recently retired with 100% disability from the VA. We aren’t looking at buying a house for a couple more years, but I’ve been trying to keep track of all the benefits that come with his disability.